Bet Angel for newbies / Getting started : Greening up on BA - not showing up on BF? Hi everyone, I'm just getting to grips with the software and have a few questions regarding greening up and different amounts showing in my BF account? 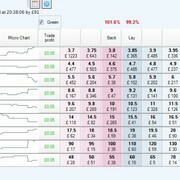 So for example yesterday, I had a go 8.40pm race at Kempton. I then check my BF account, and its showing as 0? Can someone explain what I'm doing wrong here? Some of the scalps show the correct money and others like this show zero? I must be overlooking something here? Thanks for the reply and help. I gotta say that seems abit redundant. Not only to place the click inside the box but to then have to click again in the trade profit column. I've never clicked inside the trade profit column before is why its odd some actually show a profit in my betfair account and some don't as i've only ever placed a click inside the box next to green. I will try the ladder green up instead and see if i prefer it better. at the moment in time on your screenshot you potentially have a 20p profit on the first runner and zero on all the others. the 5p is an indication of what you can green up for. 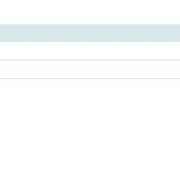 if you didn't click on the figure i presume the favourite lost, which is why betfair correctly did not pay out. Dallas is correct, you need to actually "green out"
Last edited by MemphisFlash on Thu Aug 09, 2018 4:04 pm, edited 1 time in total.